Has the current state of the world got you feeling like you'd rather not be part of this planet? Well, going into space in a rocket might solve all your woes. Not because you'd be far, far away from all our Earthly chaos, but because of a psychological switch called the overview effect. First described in 1987, the overview effect describes a change in how astronauts feel as they hurtle through space. It's a profound change, incapable of being fully captured in words. 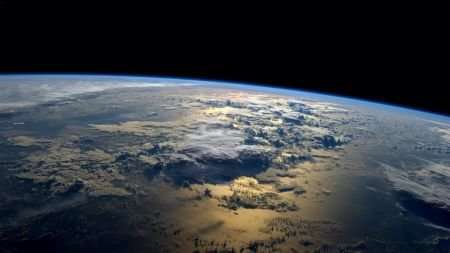 Looking down on our little blue-green world, sheltered only by a paper-thin atmosphere, there comes an awareness. The incredible fragility of our planet and the pettiness of human borders become clear when looking at Earth from space. We're not sure of the psychological processes at play in the overview effect, but it is characterised by a strong emotional response. For many astronauts, looking at our planet from space and recognising its fragility can inspire an overwhelming urge to protect it. "Circling the Earth in my orbital spaceship, I marvelled at the beauty of our planet," said Yuri Gagarin, the first man in space. "People of the world, let us safeguard and enhance this beauty and not destroy it." This shift in awareness doesn't stop once they set foot back on Earth. It's a lasting change that stays with astronauts as long as they live. This powerful shift in human thinking is the kind of thing that the marketing department at Greenpeace could only dream of achieving. Imagine the good you could inspire people to do just by popping them in a rocket for a little universal joy-ride. With Australia's Space Agency beginning to find its feet, could more of us get the opportunity to look down on planet Earth from above? Probably not any time soon. In the meantime, there's a great VR experience that attempts to mimic the feeling of looking down on Earth from space. Hopefully, this kind of technology will be successful at recreating the protective urges inspired by real space travel. If it is, we might be able to solve some of those problems that make people want to leave Earth in the first place.